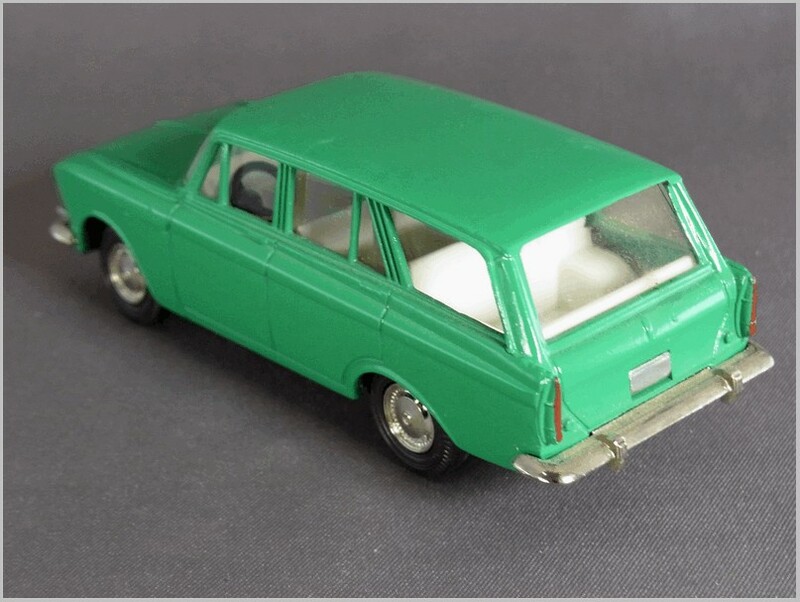 Recently a small number of the Atlas Dinky 1410 Moskvitch have been sold on eBay by sellers based in China. 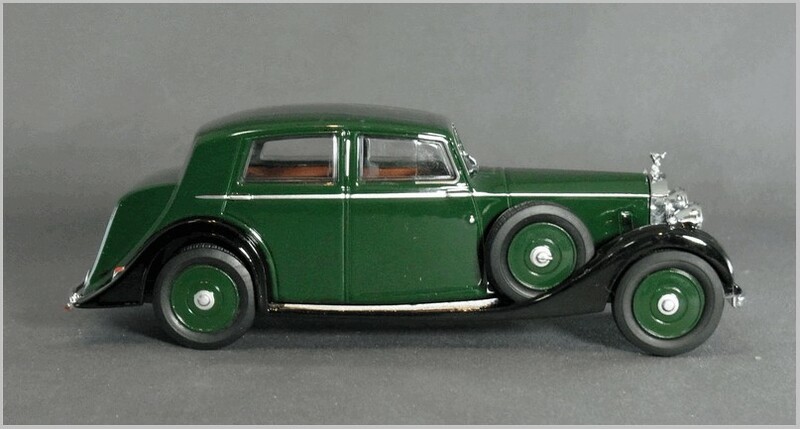 I have always wanted one of the French Dinky Toys Moskvitch models to go with my USSR/Russian made Moskvitch models so I bought one. 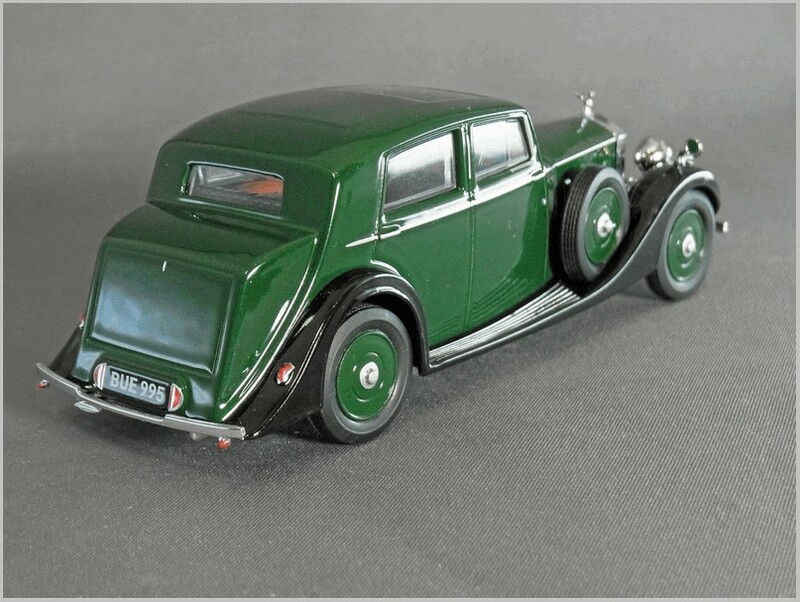 Of course it is possible that one will also turn up in the Atlas UK Deluxe Dinky series in which case I will have two! 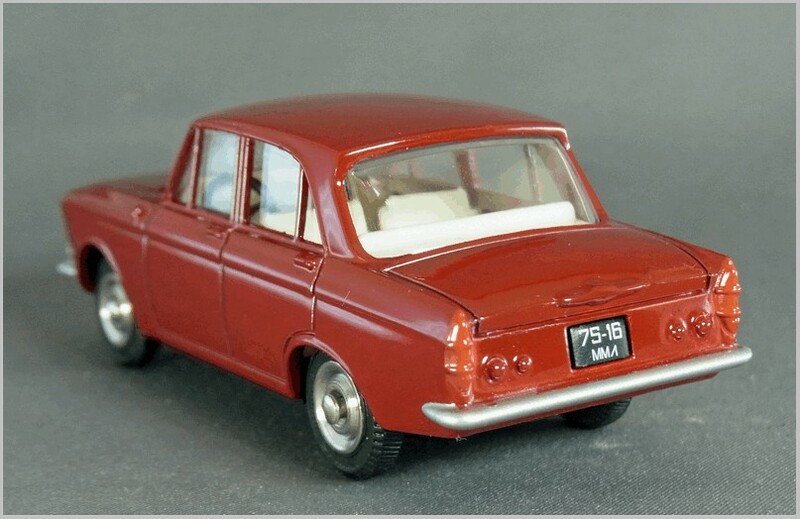 The model was launched by French Dinky in 1968 and was based on a Moskvitch 408 with a 1360cc engine. 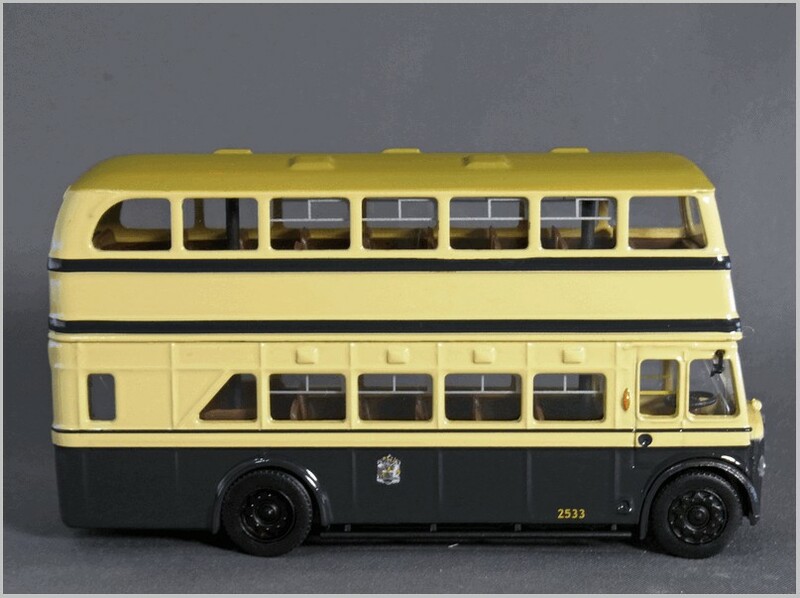 The model was withdrawn in 1971. 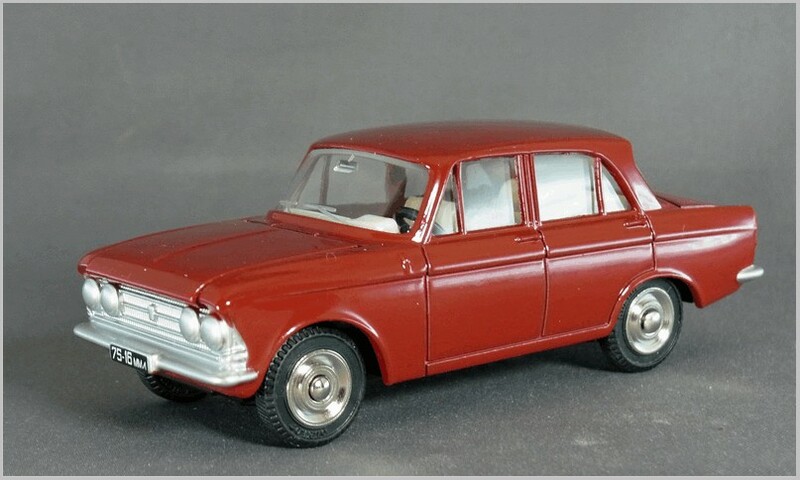 The Moskvitch 408 car was launched in 1964 and replaced by the 412 in 1967 so the French Dinky was already out of date when launched. 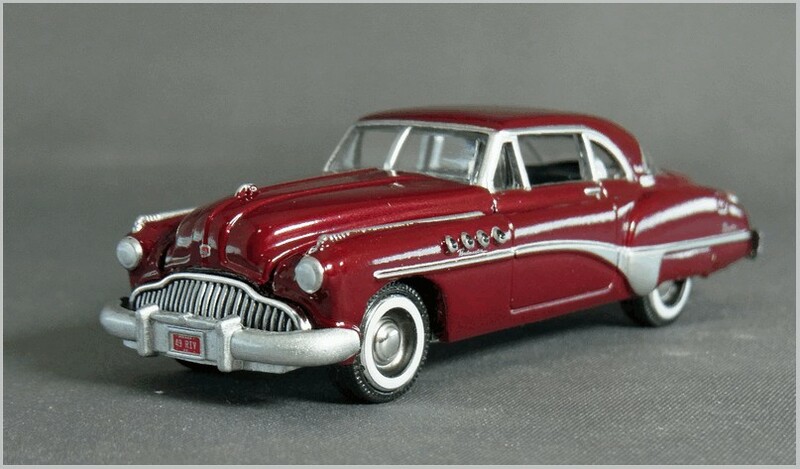 The Model is in a reproduction of one of the later style of picture boxes with the car drawn but none of the nice backgrounds shown on earlier models. 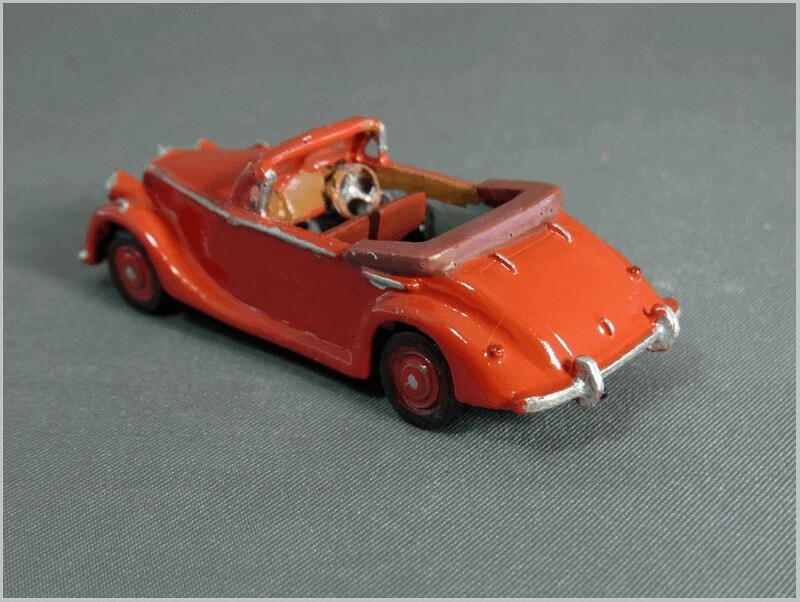 The French Dinky came in three different colours: metallic bronze, metallic blue, and red. 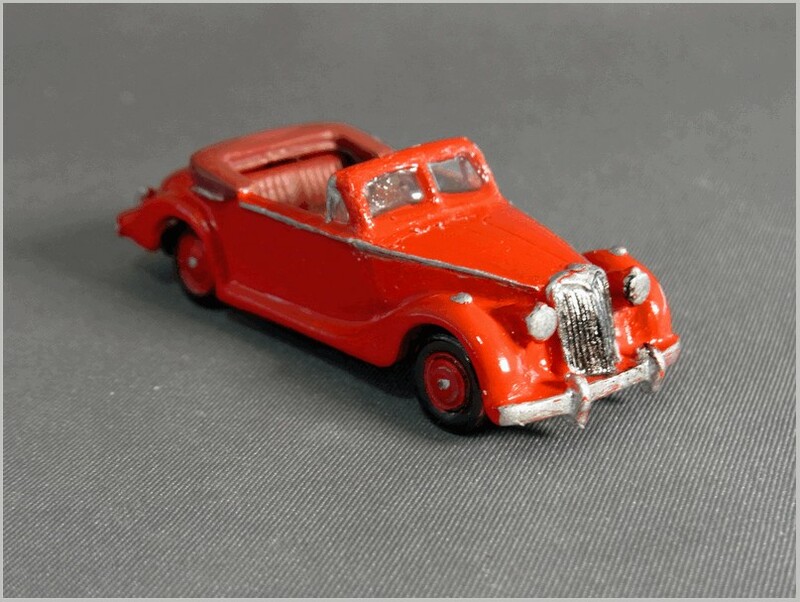 Here Atlas has chosen to reproduce the deep red colour. 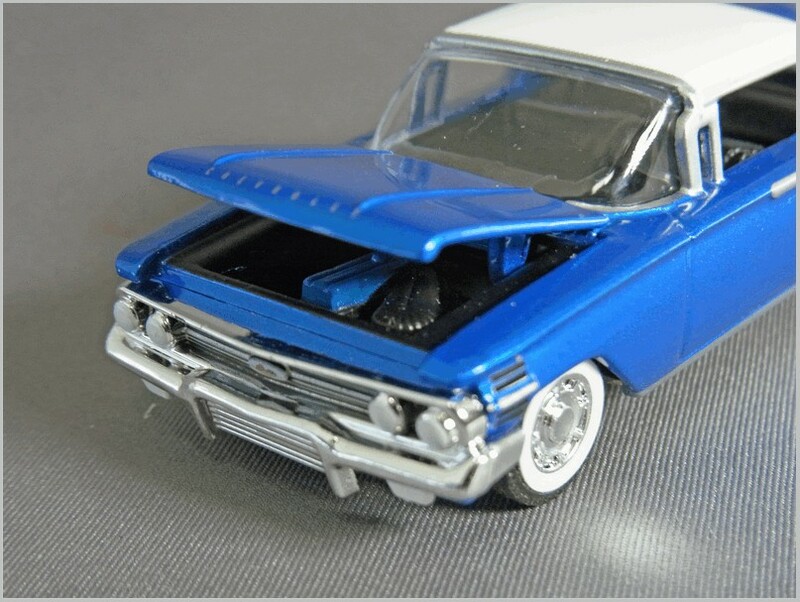 The quad headlights and grille are very nicely reproduced and with some effort the front hinged bonnet can be made to sit properly. 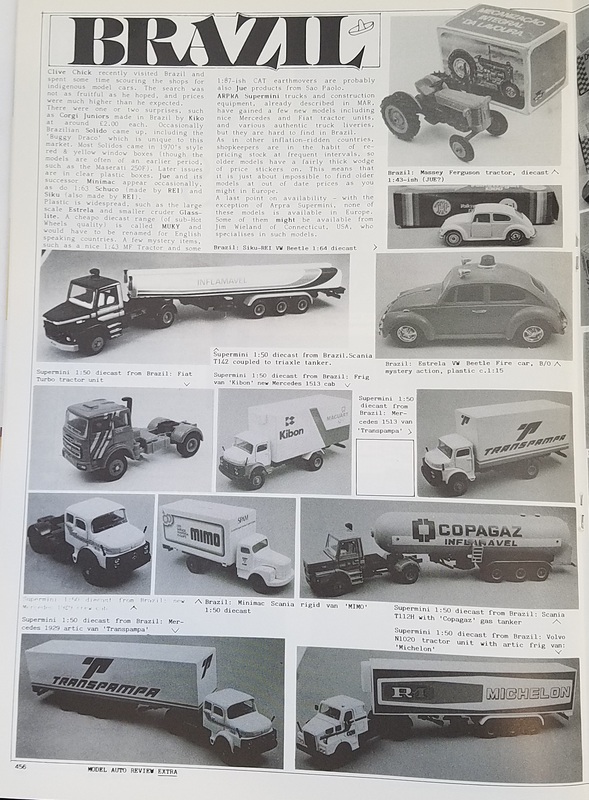 Interestingly for a model sold in France the number plates look to be Soviet ones in the format used from 1960 onwards with the area code last. I can find no listing of where ‘MML’ was issued, which is what the Cyrillic letters say, but Moscow would be my guess. 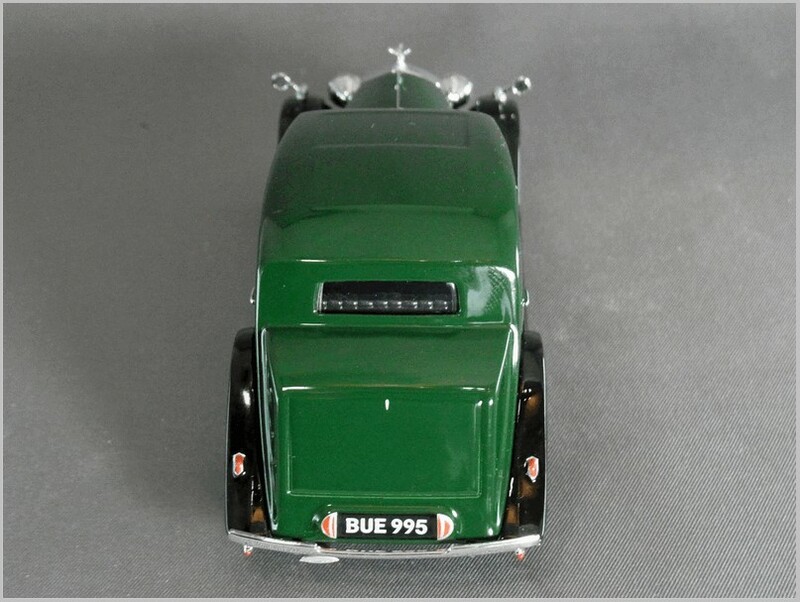 The rear of the car is very nicely modelled with the upright lights of the 408 well captured and the additional lights on the rear panel too. 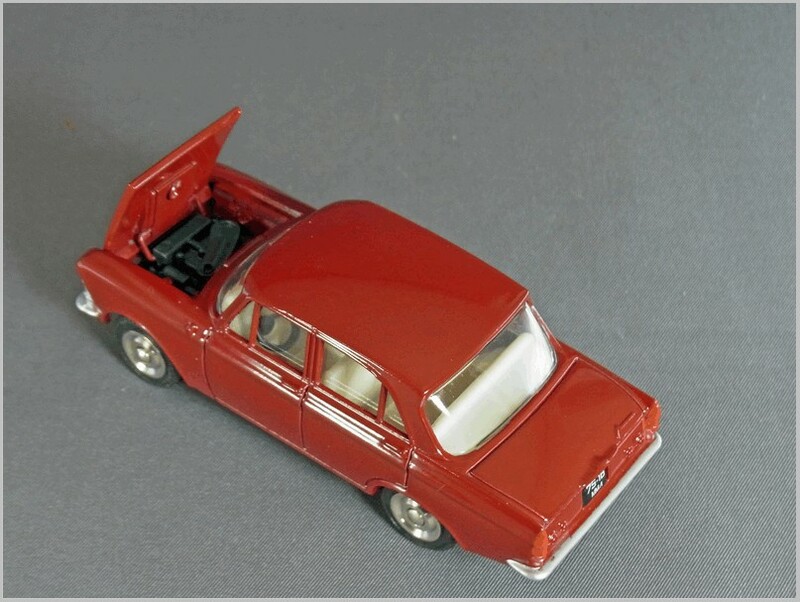 The opening bonnet shows quite a bit of detail and has a slightly complicated front hinge. Inside the car there is a basic white plastic interior with a black plastic steering wheel and unusually no recess for the footwell in front of the front seats. 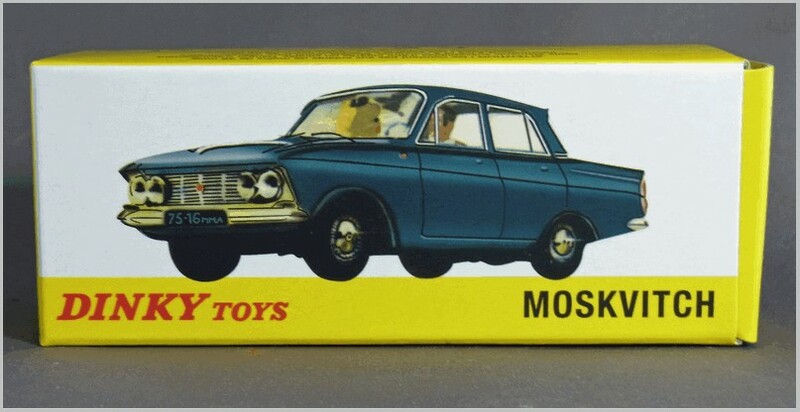 Here in the UK the Moskvitch sold modestly but it was cheap, came with a complete tool kit and was a tough car. 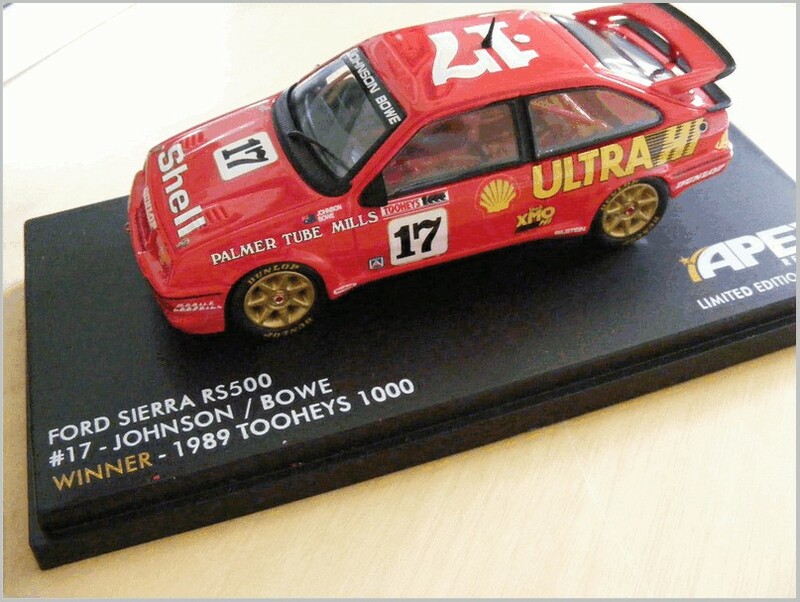 It was also sucessfully campaigned in saloon car racing by the importer. 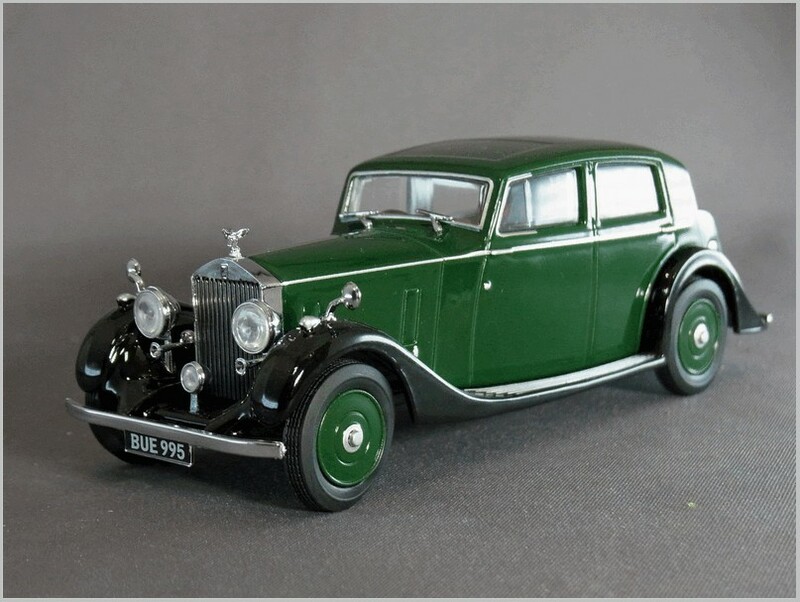 In that period saloon car classes were based on sales price putting a Moskvitch with a strong OHC 1500cc engine in the same class as basic MIni and Imps. 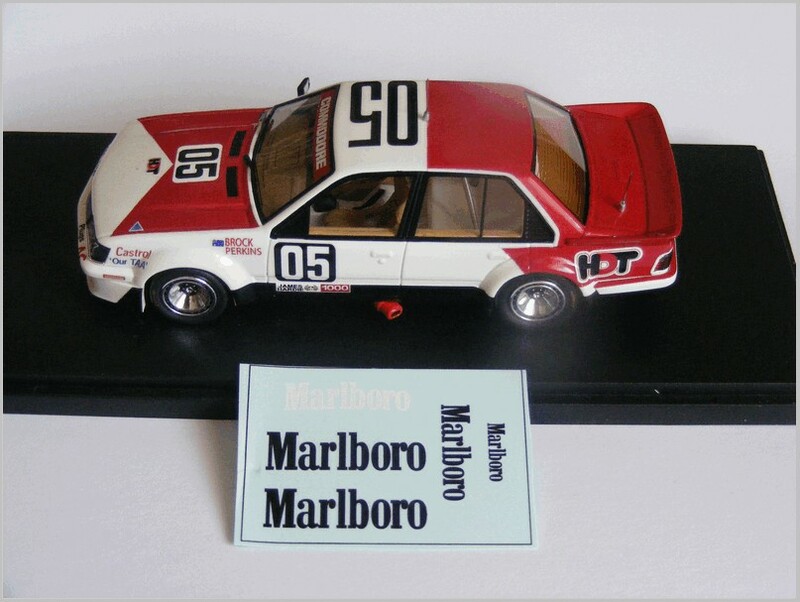 The French Dinky model may have gone out of production in 1971 but the casting went on to live a second life. 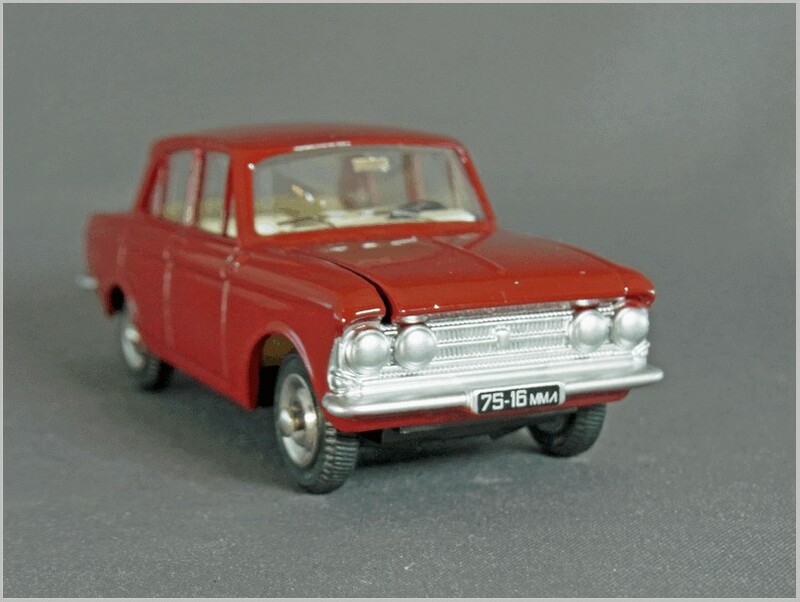 In the Soviet Union the French Dinky spawned copies and new versions such as estates, vans and pickups. 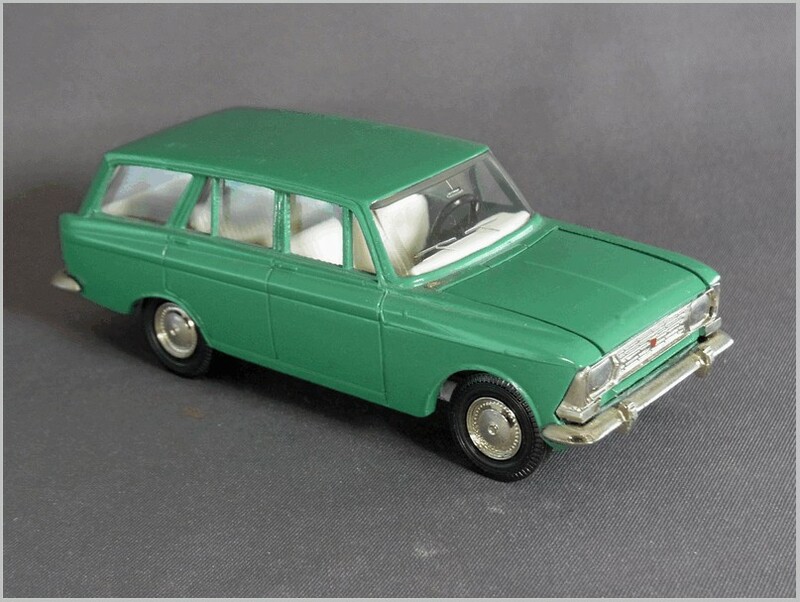 When you compare a Saratov made Moskvitch model like the estate car shown below you can see the similarities. 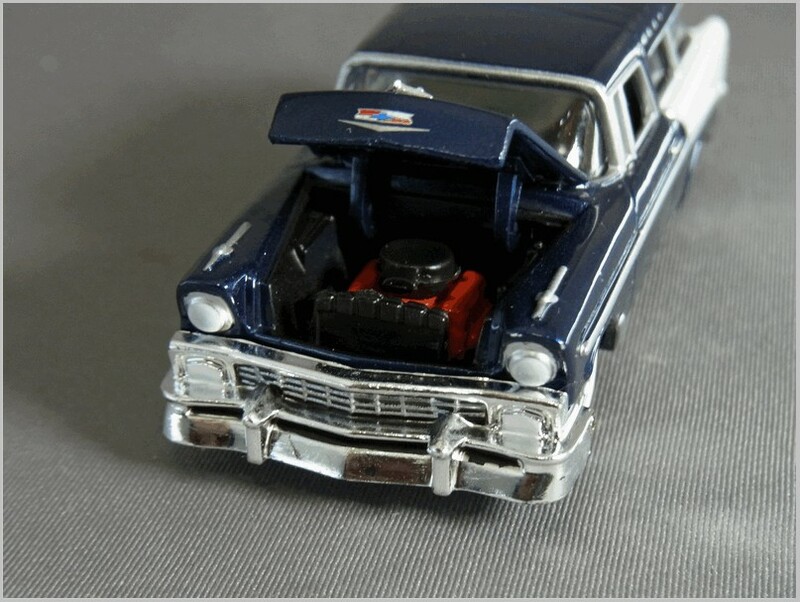 Though chrome here, and black in the French Dinky, the engine casting looks identical. 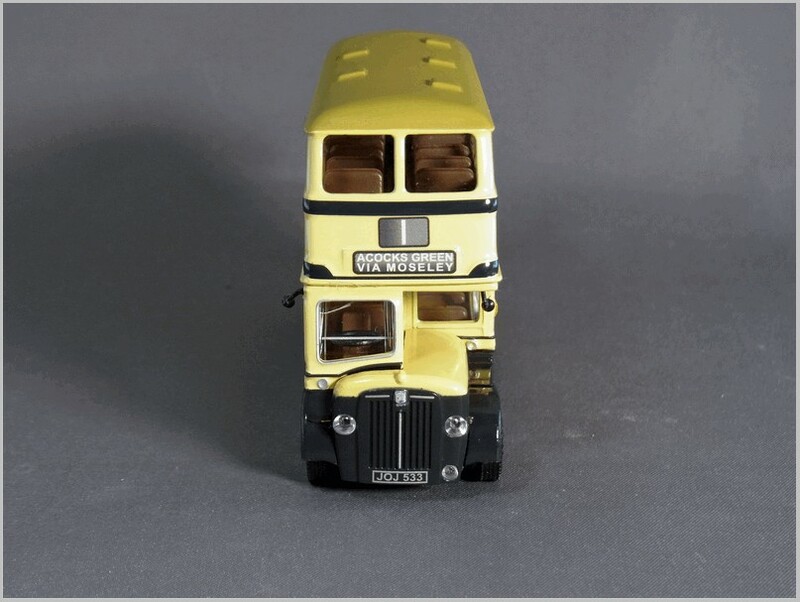 Look inside and the funny interior with no cutouts for the floor wells and the bulge where the steering column would be looks identical to the French Dinky. Even the seats look the same, albeit with a rear extension in the estate car. 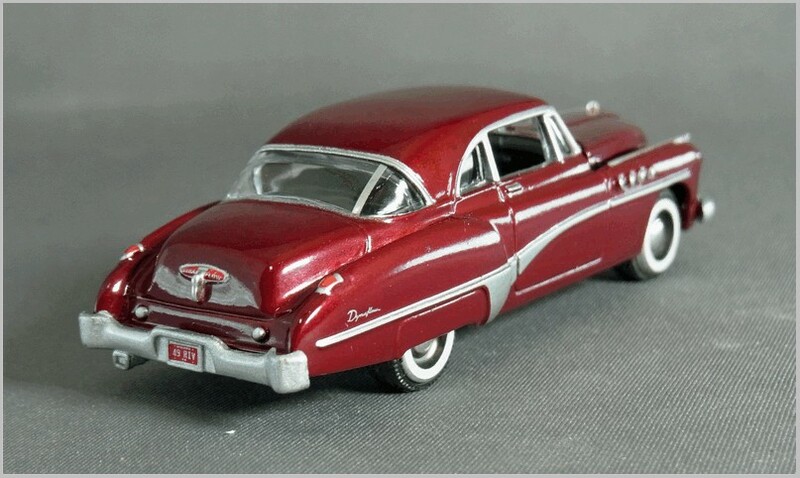 The USSR made model shown has a slightly different means of attaching the bonnet, the indicators on the front wings are slightly less pronounced, and the grille is from a rectangular headlight second series car. 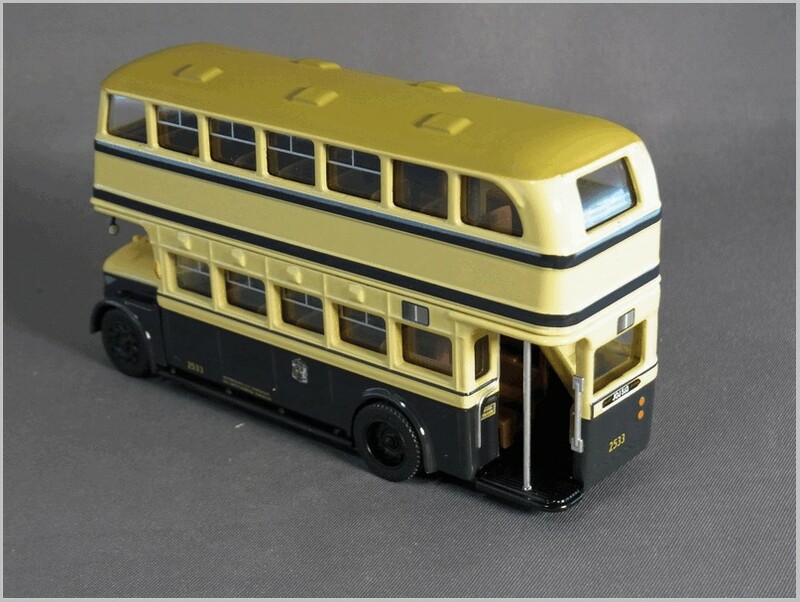 The ventilator window frames are also a little larger on the USSR made model. 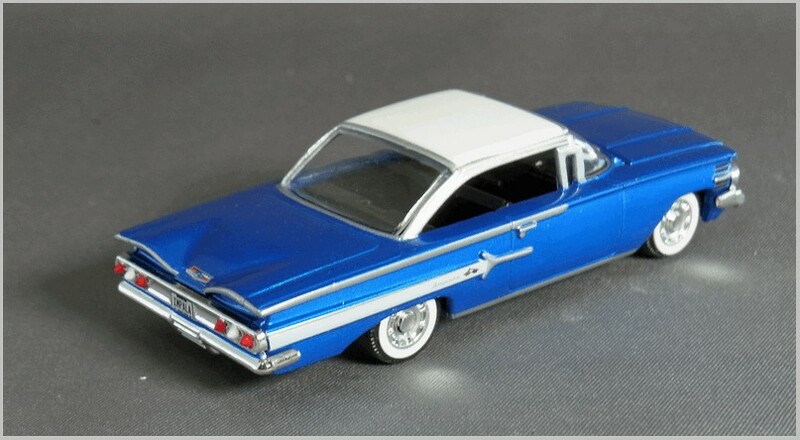 So the conclusion is that the Saratov model is derived from the Dinky without being a straight copy. 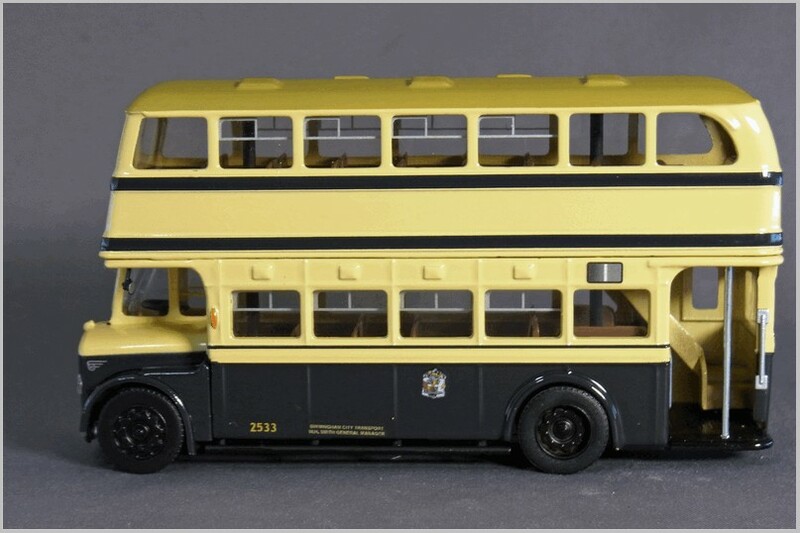 The Soviet model has nicer wheels than the Dinky as the wheel embellishers are etched in to the concave section and the wheels are smaller and tyres more finely moulded. 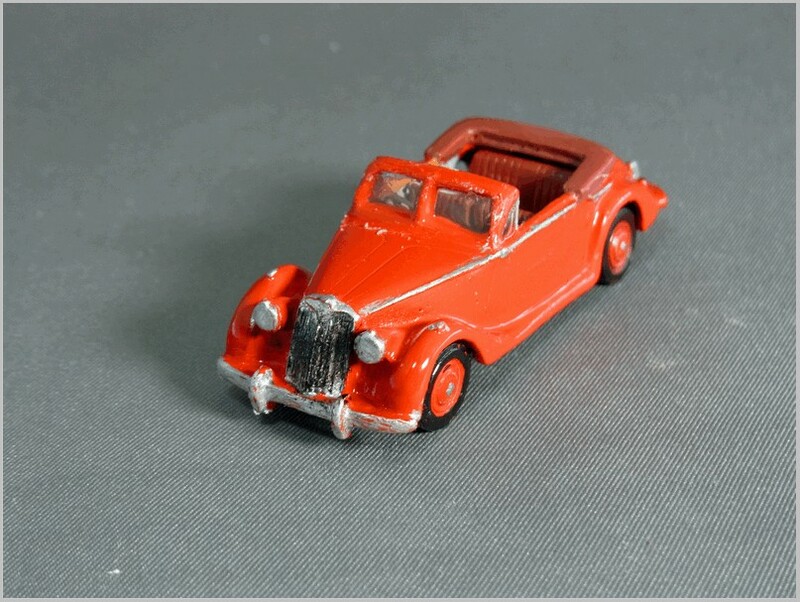 As the photographs show the French Dinky makes a nice companion to the Soviet made model which was bought from a Berioshka (Foreign Tourist only) shop in a hotel in Leningrad in the Gorbachev era. All text and photographs are by, and copyright of, the Author unless otherwise stated. 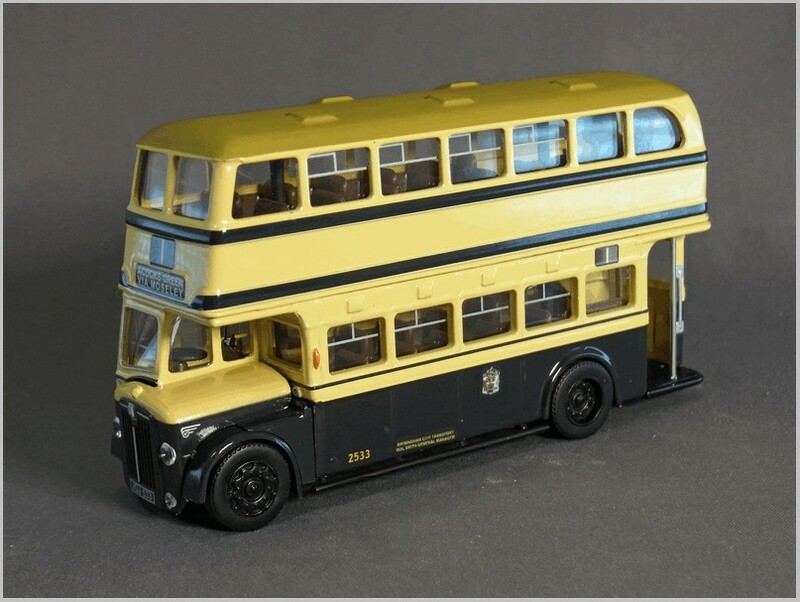 The model discussed in this article is the sixteenth release in the DeAgostini Classic Dinky Toys collection and one that has a strong appeal as it did not appear in the Atlas Dinky series. It has been made for them by Norev in China. 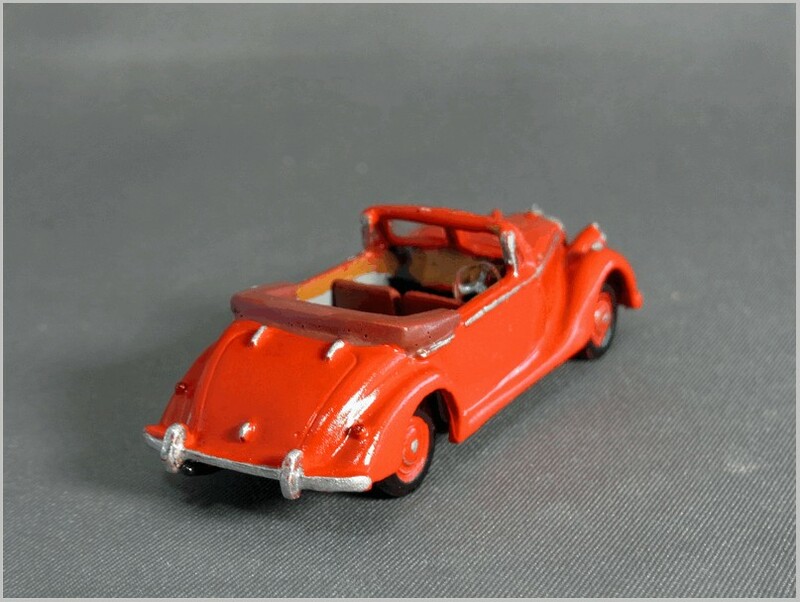 It is #268 Renault Dauphine MInicab. 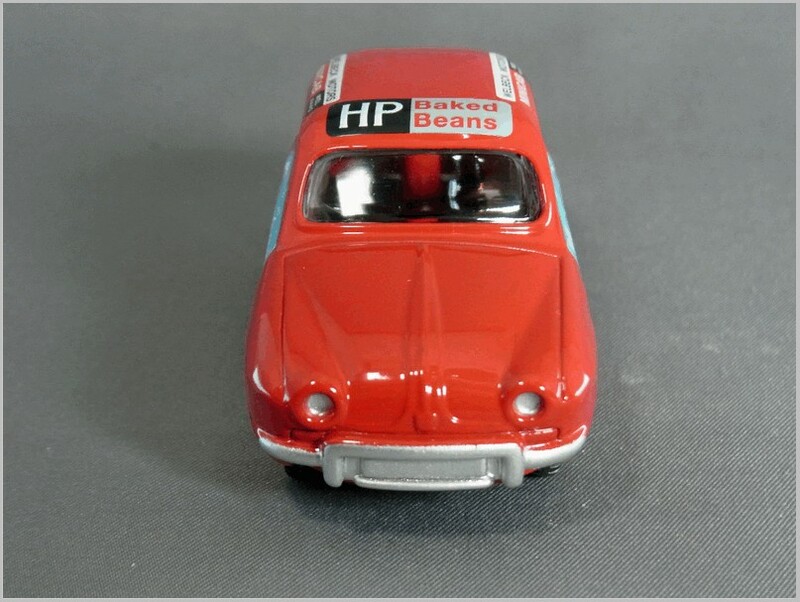 It is unusual for this series by being a UK Dinky release, though based on a well established Dinky France casting #524 from 1959 with fitted windows which replaced the same car without windows sold as 24E from 1957. 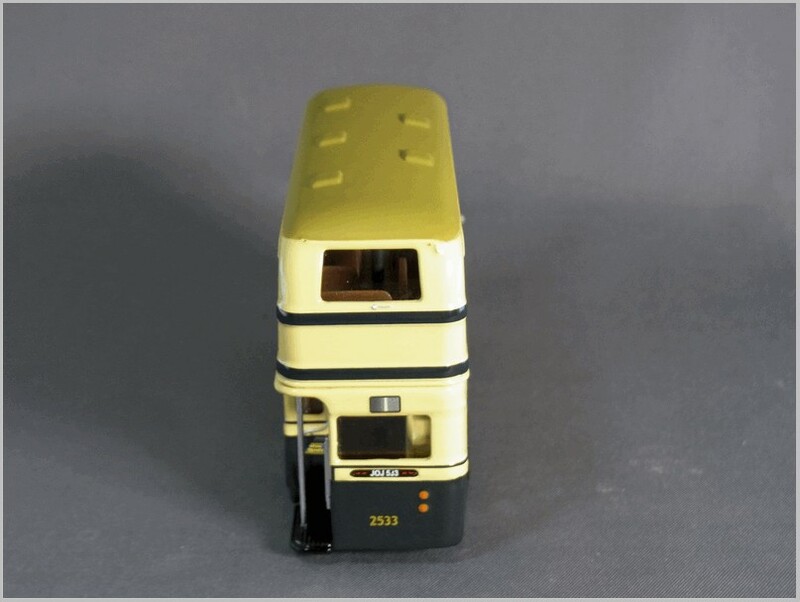 So why did Dinky UK adopt this French model? 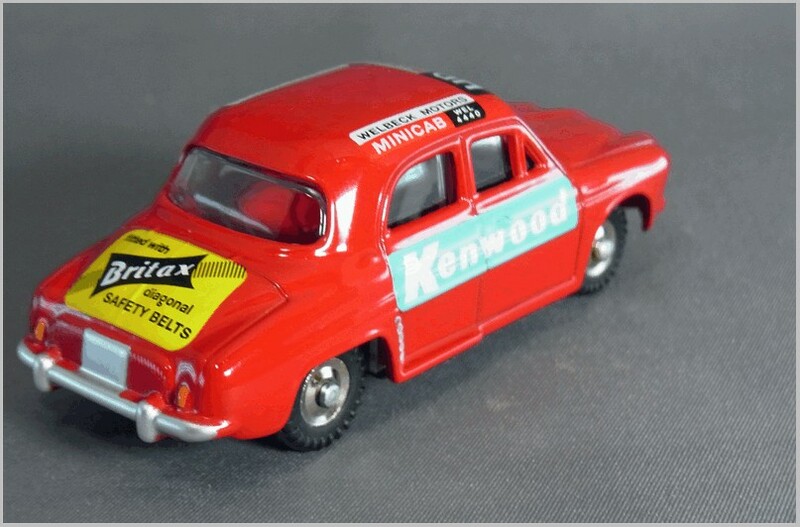 In the early 1960s a small firm called Carline realised that the Black Cab (mainly Austin FX3s and FX4s) monopoly in London was based on them being the only service allowed to ply for hire but that if people ordered a car over the phone to a central office who dispatched the cars the service could be provided outside the Hackney Carriage regulations. 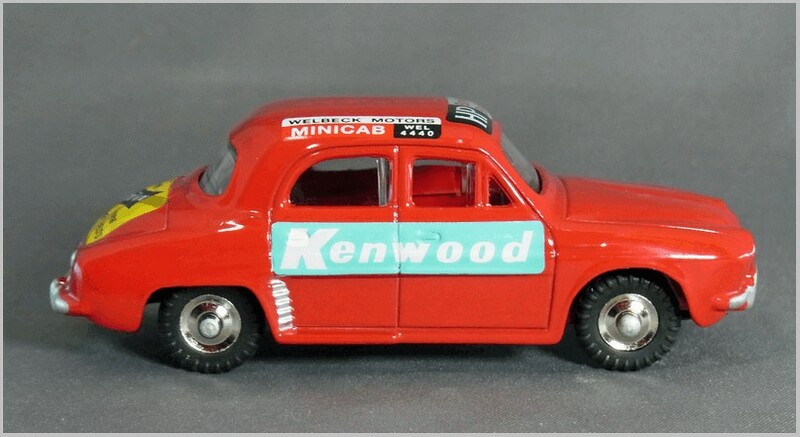 Starting with a small fleet of Ford Anglias Carline’s minicabs began to hit the streets of London in early 1961. Shortly after that Michael Gotla a young, and publicity conscious, entrepreneur started Welbeck Motors who went on to be the public face of the early Minicab. 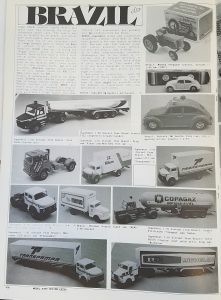 He ordered a large number of red Renault Dauphines and also gained further income by applying adverts to them, something that only happened to Black Cabs in the 1980s. Dialling WELbeck 0561 would summon a car for one shilling per mile, considerably cheaper than a Black Cab. At this time Black Cabs were not keen to leave Central London as it made picking up the next fare more difficult so calling a minicab was often quicker as well as cheaper particularly in Outer London suburbs. There were several pubic conflicts between Black Cabs and Minicabs, as there have been recently between Taxis and Uber drivers in a number of Cities. 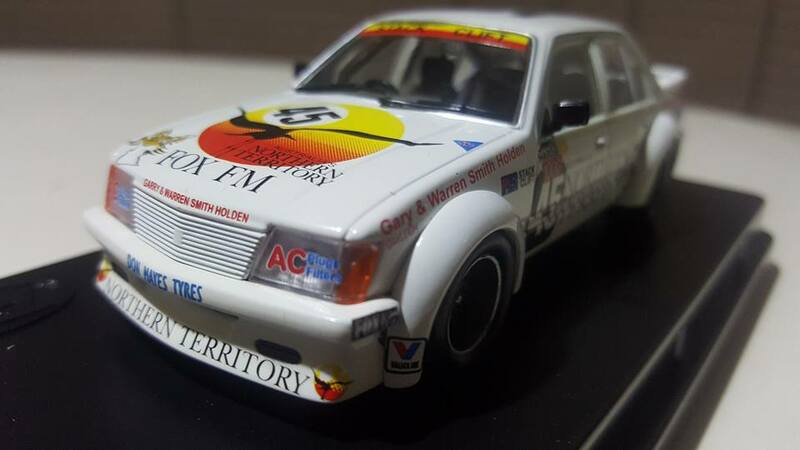 This generated a lot of publicity and press coverage which encouraged Dinky to show themselves as up to date by modelling the minicabs which were being regularly pictured in the press and seen on TV. After all all they had to do was get raw castings and glazing sent to them from France, create a new baseplate and box, apply some red paint, and add transfers. Following an unfavourable court case the first generation of minicabs faded away in London only to return later when regulations became more favourable. 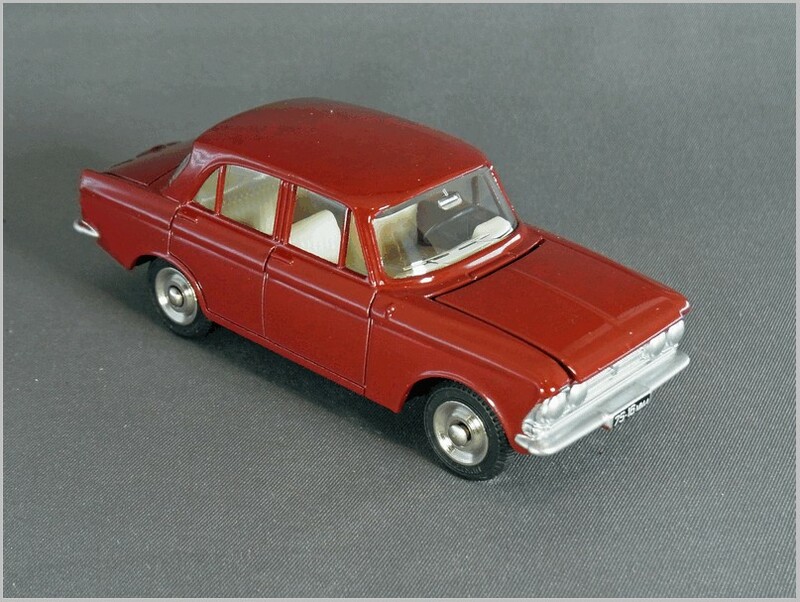 The short period of operation of Wellbeck Motors didn’t matter to Dinky who sold the model from 1962 to 1967. 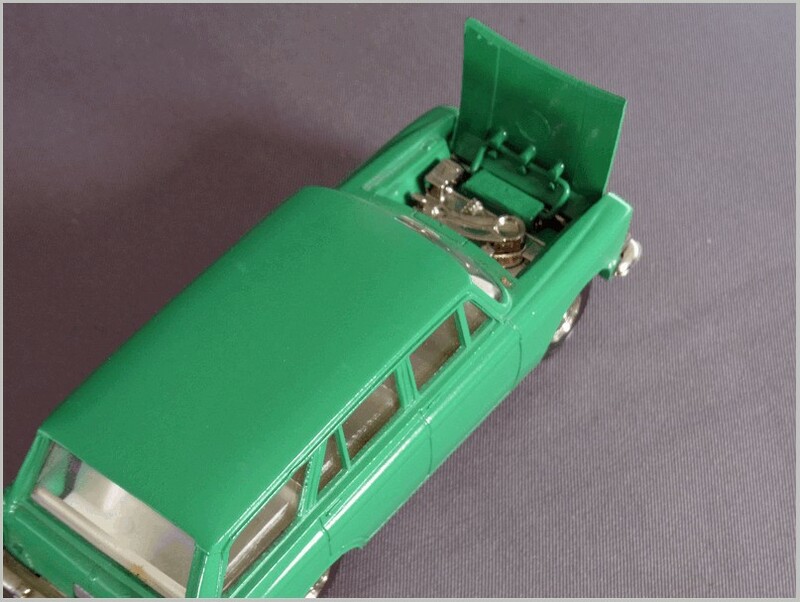 The model from DeAgostini differs from the original Dinky in one key way. 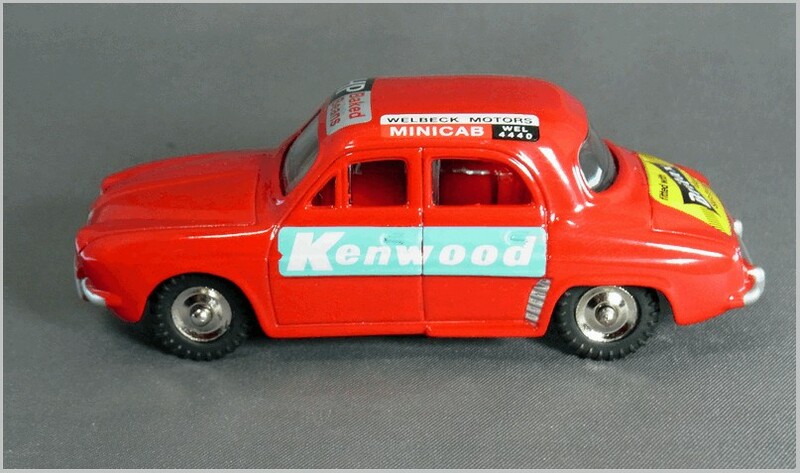 Unable to get a license from Meccano to reproduce their advert on the model DeAgostini had Kenwood printed on both sides which reduces the accuracy of the replica though sets of transfers are available if anyone wanted to add a Meccano advert over one of the Kenwood adverts. 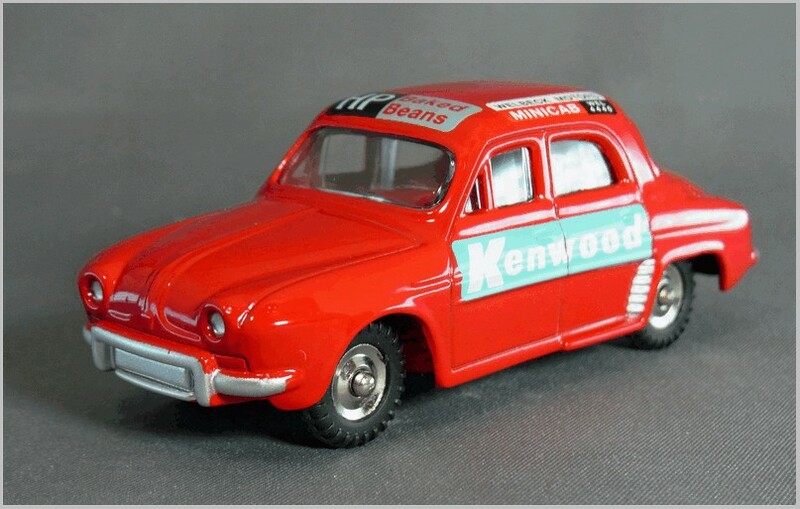 The Dinky France Renault Dauphine was a good casting though already over five years old when used as a minicab. 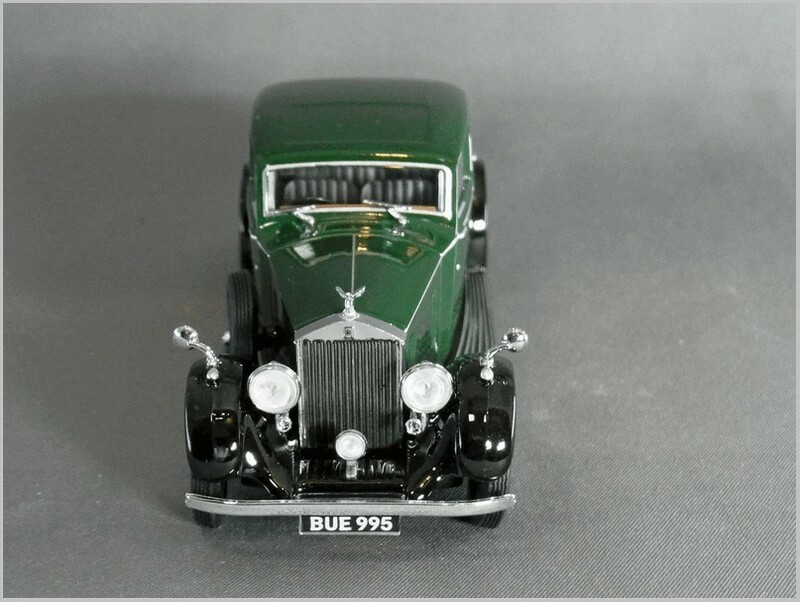 It captures the real car well and it is 1:43 scale unlike most UK Dinkys of the time, though this is not stated on the UK made baseplate. The printing of the adverts is well done on the replica with some depth to it replicating the bulk of a transfer, though of course the absolute accuracy and well aligned prints are perhaps ‘better than new’. 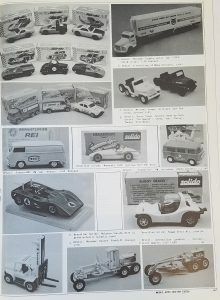 Certainly an interesting model for DeAgostini to offer and one that it is worth seeking out by those who are not collecting the series because they already have the Atlas Dinky Collection. 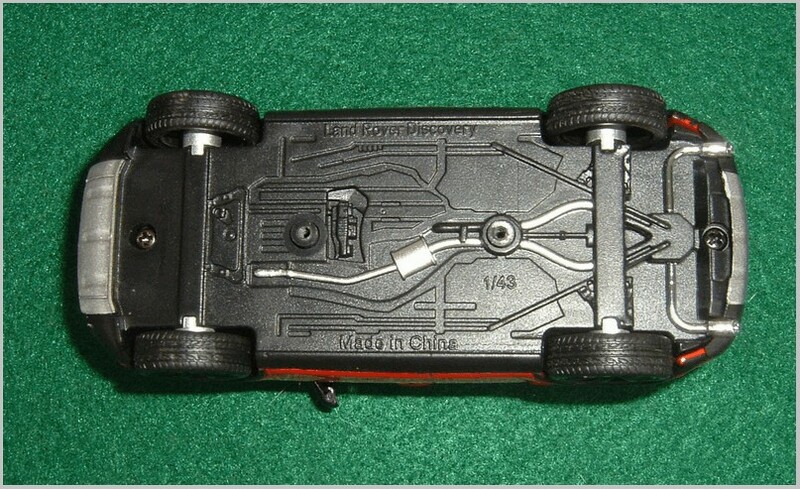 Chinese model makers are fast at work producing replicas of past and present model vehicles. 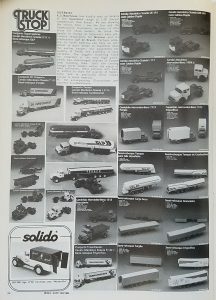 Some are now done as manufacturers launch new product, much as AMT and Johan did in the 1950s and 1960s with 1:24 scale replicas for each year’s American cars. 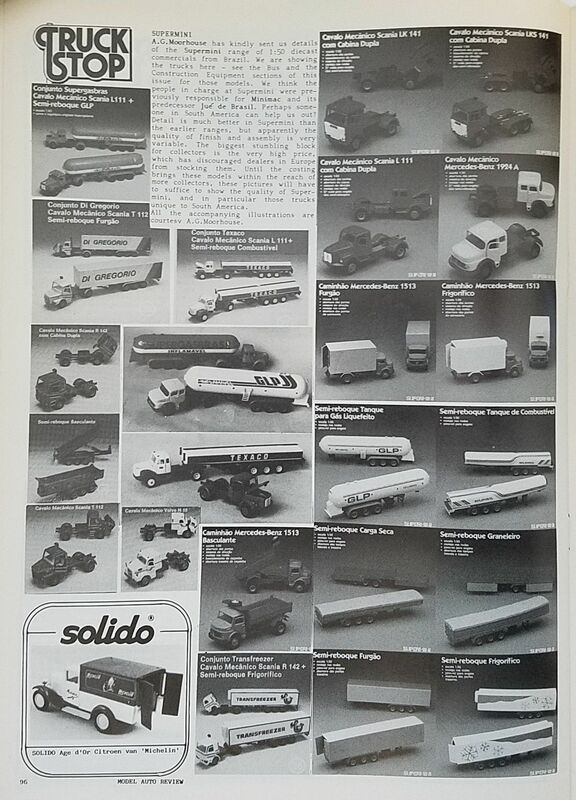 You may have played with and collected these. 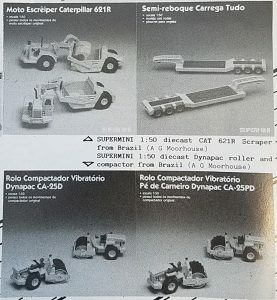 Hopefully, today’s models will stay in good shape better than the early plastic “promos” that sadly tended to become grossly warped with age. 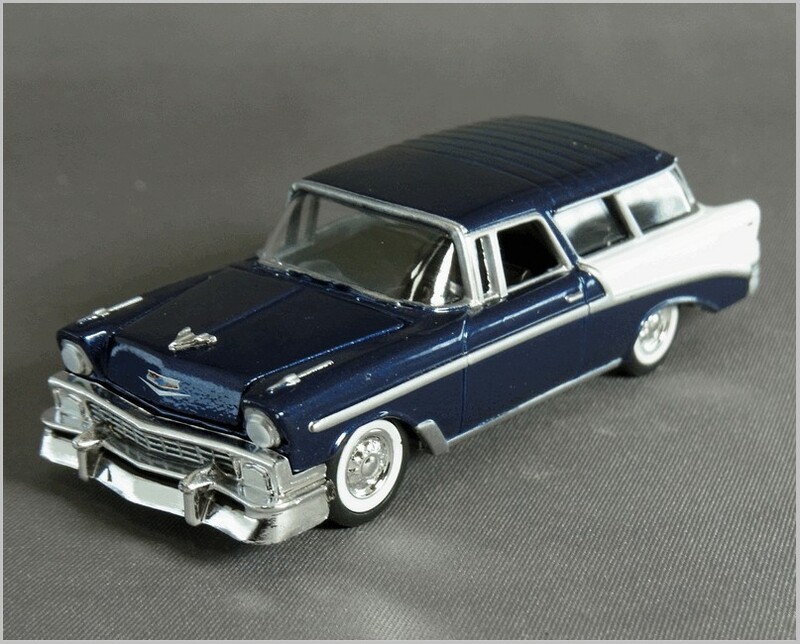 The model shown in this article is one of the the latest from Premium X a brand name of Premium Collectibles Trading Company based in Macau, China. 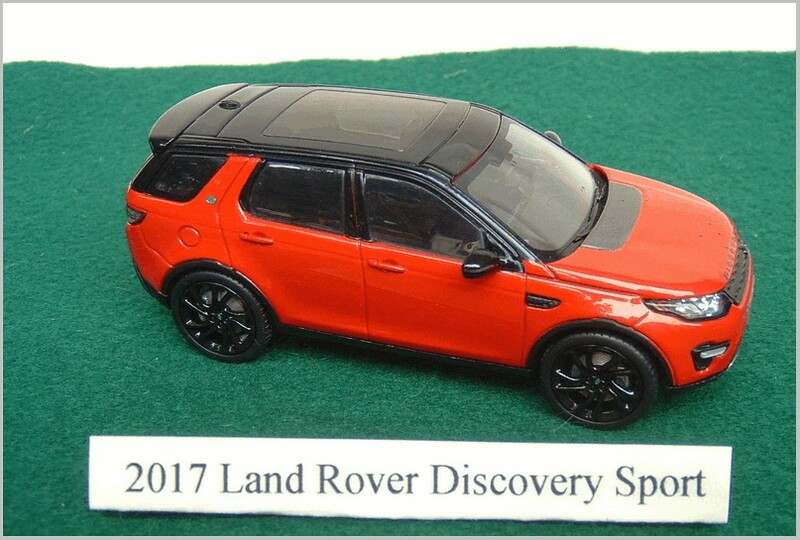 This model reviewed is the 2017 version of the Land Rover Discovery Sport. It is available in red as shown under item number PRD402 and in black as PRD401. 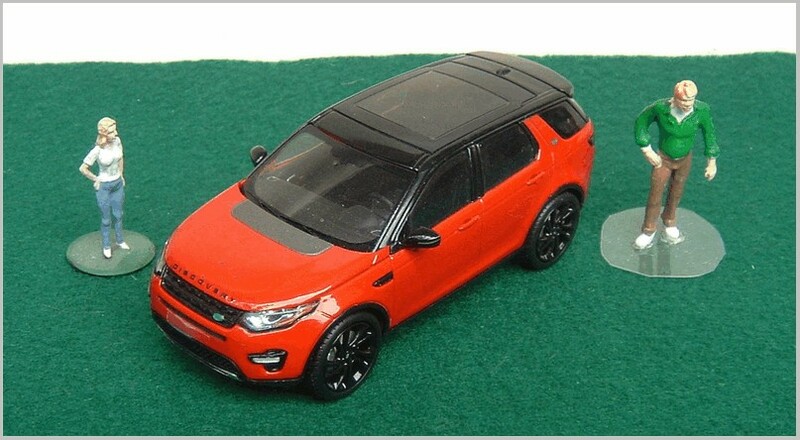 Land Rover and Range Rover seem to be spinning out new models at a record pace. I’m having some difficulty keeping all these LR and RR products straight and trying to figure out what market niche they fit into. 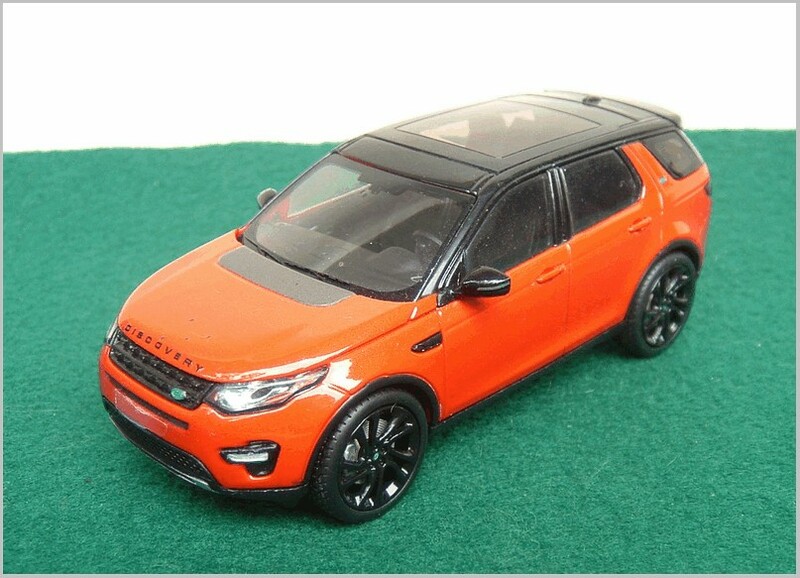 In the interests of fuel economy the Discovery Sport features a 2.0 litre inline four cylinder engine with turbocharging and 9 speed automatic transmission and, for the technically savvy the bore is 3.44 and the stroke 3.27. All this provides for a 0-60 time of 7.8 seconds and a top speed of 124 MPH in case you are in a hurry to get to your favourite off road adventure. 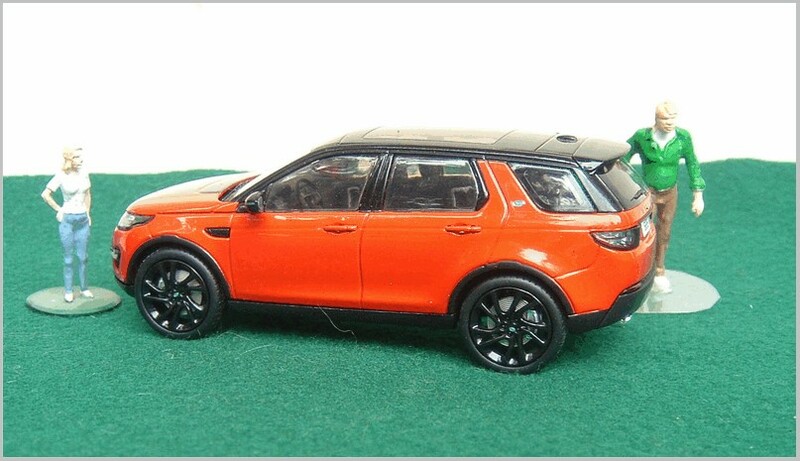 There is a plethora of features such as All Terrain Process Control, Terrain Response, Hill Decent Control, Start Stop technology, (I’m not so sure about this feature as one who has spent a lifetime trying to make sure the engine does NOT stall at intersections) Electronic Power Assisted Steering, Hill Start Assist, Dynamic Stability Control, Electronic Park Brake, Emergency Brake Assist, Electronic Brake Force Distribution, Roll Stability Control, Emergency Brake Assist. All this should keep you busy testing and demonstrating these features but of course only after you have read the owner’s handbook which is likely upwards of 300 pages. 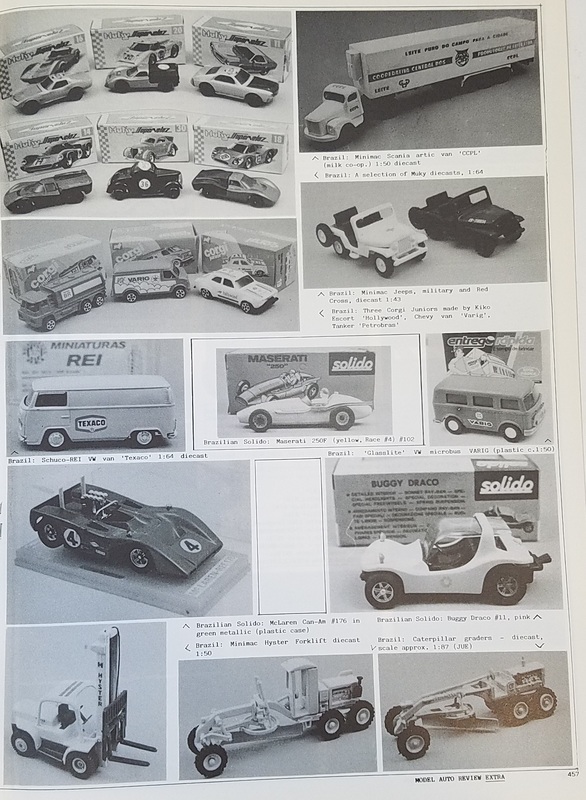 Heavens, the sales brochure is 96 pages! I can understand heated leather steering wheel, partial leather seats, 8 way front seats. Front and rear premium carpet mats but the other high tech features…. not so much. Land Rover offers 17 exterior colours and 6 interior upholstery colours. Maybe you would like Ebony with Pimento stitching or perhaps Ebony with Cirrus stitching? We’ve come a long way from a Series 2 Land Rover. And for wheels there are 13 shown as available, some black, some silver and pick your diameter. 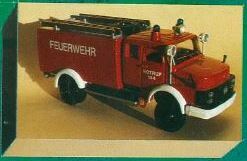 Now to the scale model, this one is done in Firenze red with Ebony seats, but aw shucks I cannot tell what the piping is, Pimento or Cirrus? The wheels appear to be 20” Split Spoke in gloss black. My camera seems to turn red into orange but trust me the model really is red. 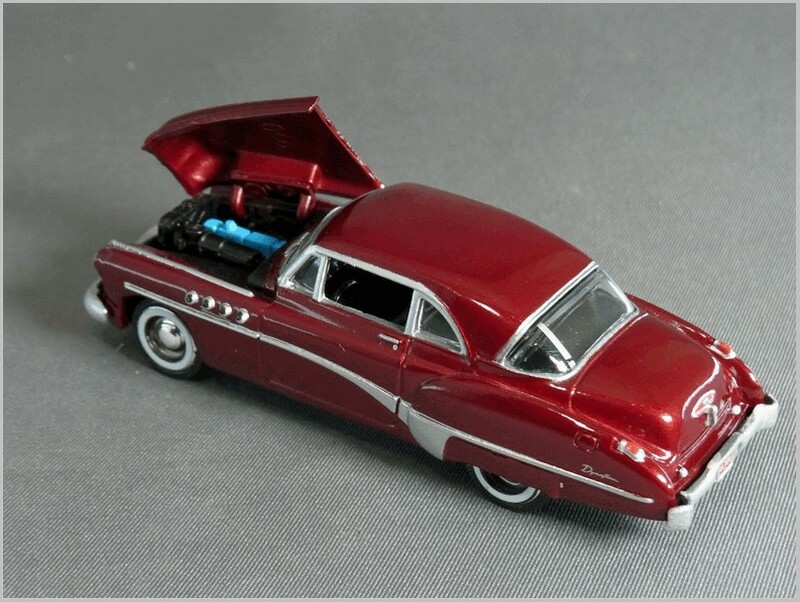 There is reasonable details on the undercarriage, the most prominent being the exhaust system that splits at the rear to two chrome tailpipes. 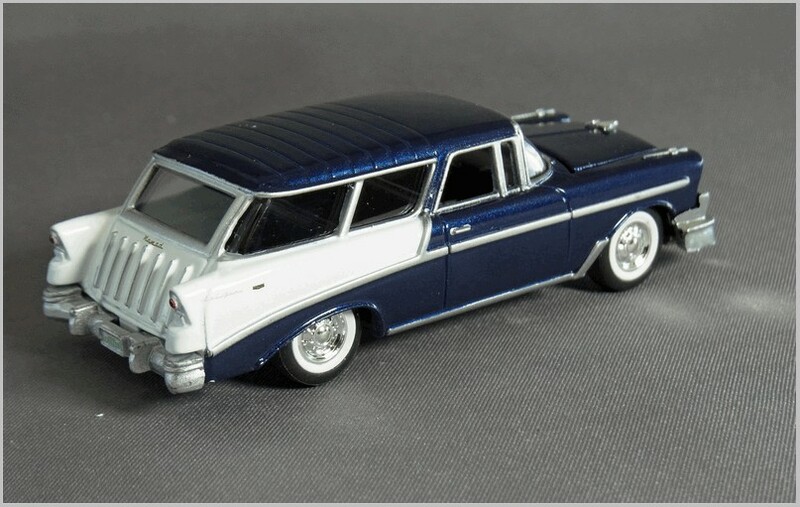 A very large tinted glass roof gives good visibility to the interior revealing some silver details to the centre stack, steering wheel and instruments. 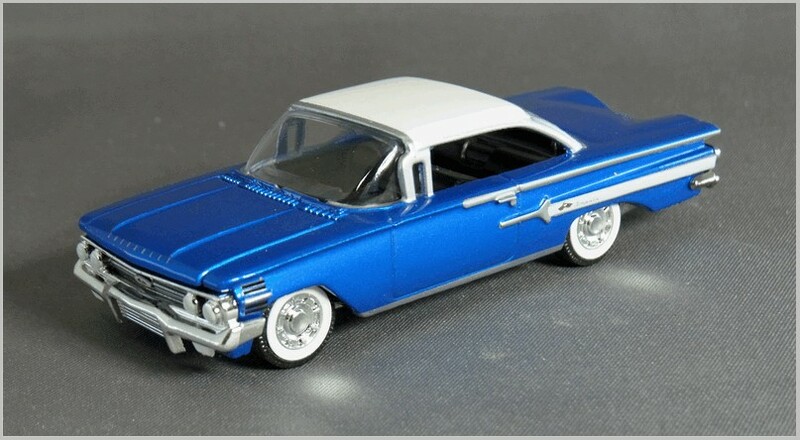 And this model is done in left hand drive just suitable for the USA. Proper green Land Rover oval badges appear on the grill and C posts. 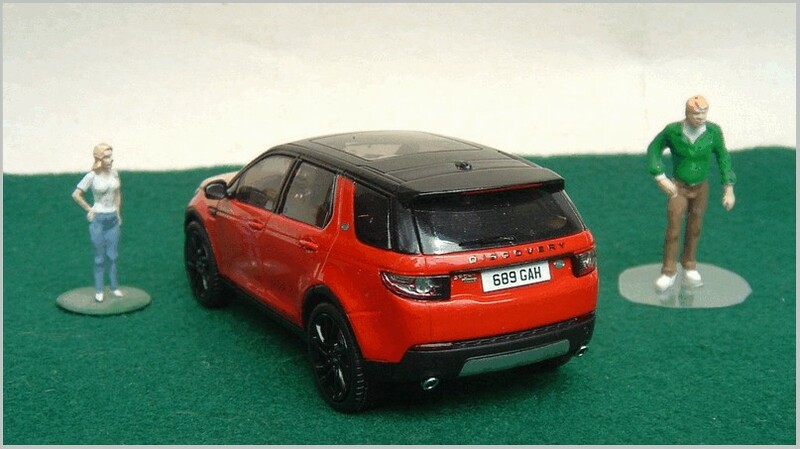 So, if like me, you are an inveterate Land Rover model collector here is one more for the shelf. No fuel, insurance, registration, or a larger garage required. Now I eagerly await the Velar. Here’s an Australian racing legend that looked a lot like an Opel Rekord, but this Holden was capable of doing great things that four and six cylinder Opels could never have dreamed of. 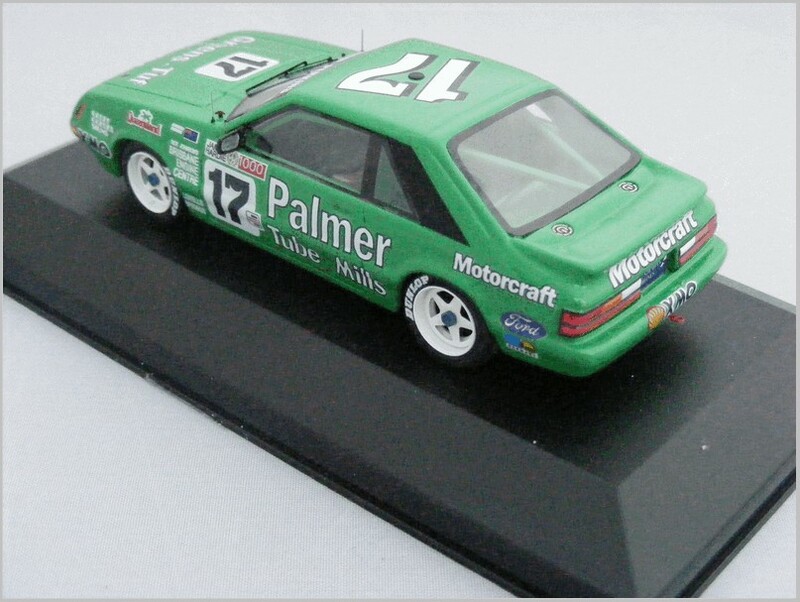 The Holden Commodore and the Ford Falcon were domestic-engineered, locally-built high performance V8 muscle cars that dominated the road racing scene in Australia (and neighboring New Zealand). While at present there are no more Australian-built V8 muscle cars, Australian diecast brand Trax Models immortalizes these iconic vehicles in 1/43 scale. 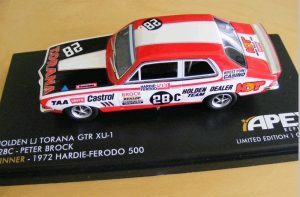 Along with competitors Biante Models and Classic Carlectables, the Australian model car scene is bustling with activity, and there are many exclusive-to-Australia-and-New-Zealand diecast and resin miniatures that embody the unbridled passion for performance that the cars from that part of the world possess. 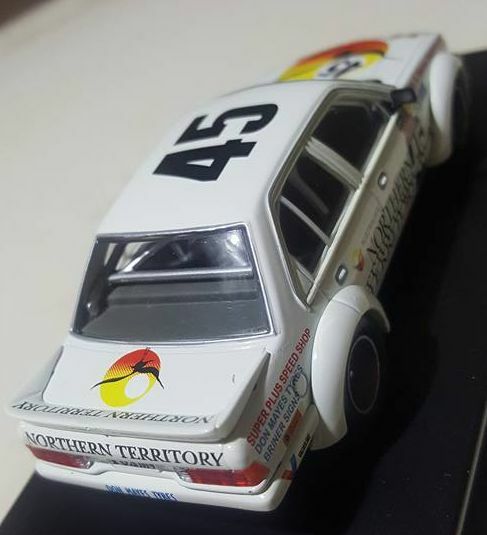 This 1984 Holden VH Commodore was a formidable, if not exceptionally colorful, competitor at the Bathurst racing circuit in Australia. 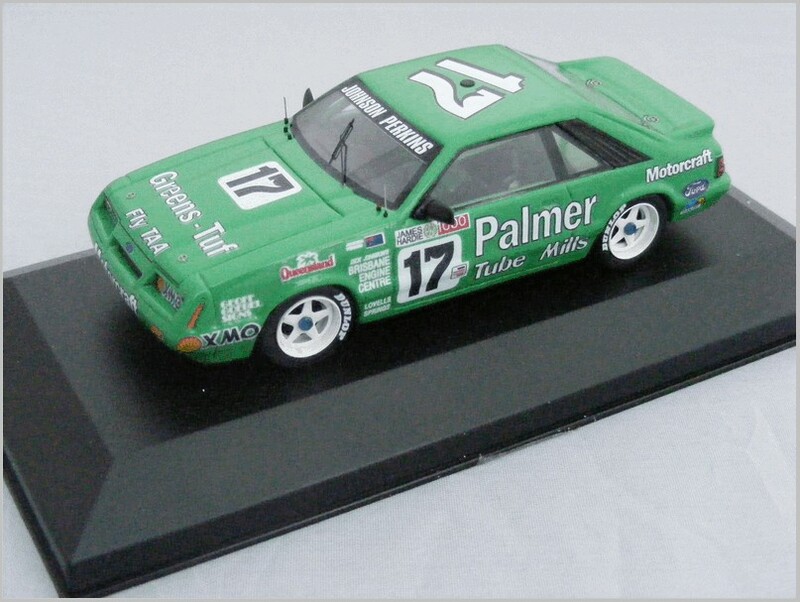 Trax Models released this beautiful car as part of its line of 1/43 scale cars that raced at Bathurst. 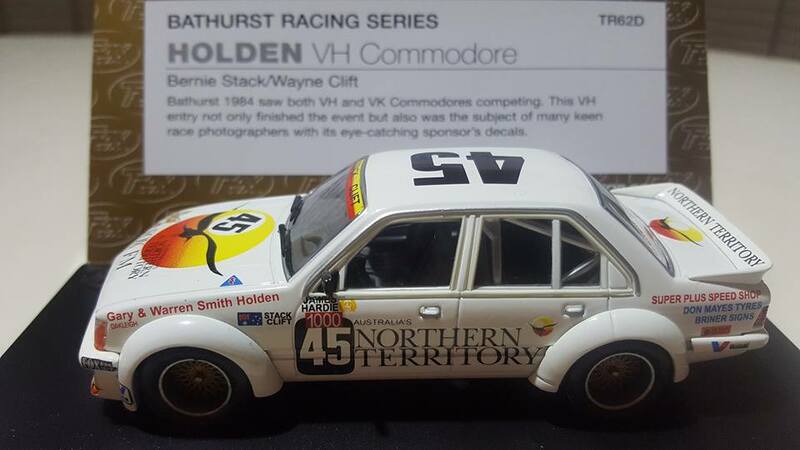 Today the Australian Touring Car Championship (ATCC) remains one of the most popular racing series, but with the closure of the Holden factory last year, the era of the Australian-Built V8 Powered Muscle Car has come to an end.